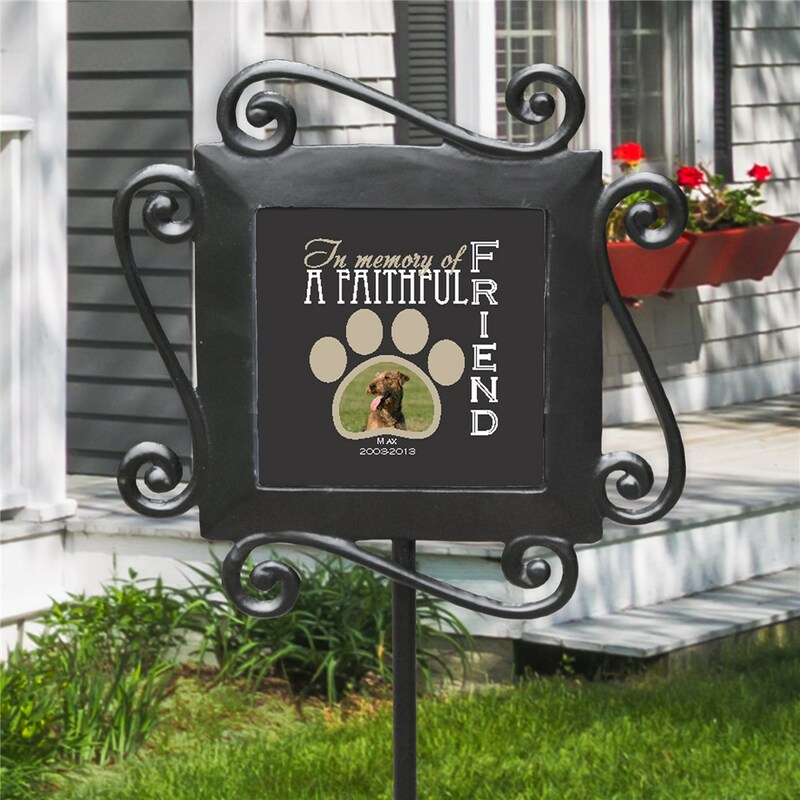 Place this commemorative garden stake outside your home and remember the friend who was with you through thick and thin, the one who showed you unconditional love: your pet. This pet memorial gift will make sure your lost friend stays close to you in spirit. Free personalization of any photo and two line custom message is included. For production purposes, please enter a photo description that best describes your photo. This turned out very well and arrived sooner than I thought it would. Great item. This is a very special memorial. It is beautiful and well made. Completely satisfied. High quality and quick delivery.